As quoted in The Life of Lord Kelvin (1910). On 2 Aug 1871, as President of the British Association for the Advancement of Science, Lord Kelvin addressed the society General Meeting in Edinburgh, Scotland. 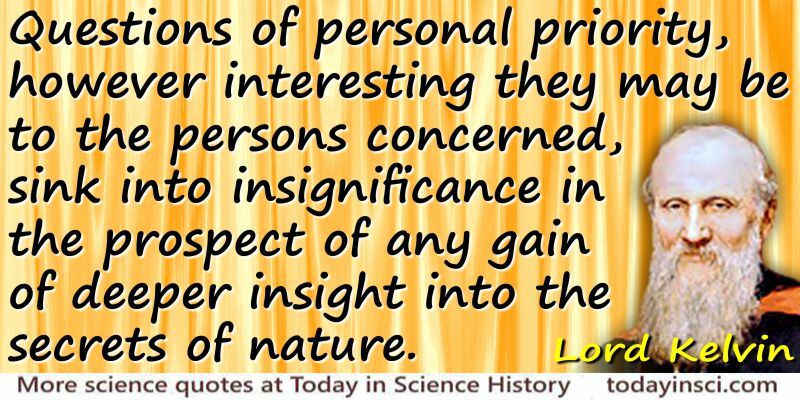 Science Quotes by Baron William Thomson Kelvin.